Staff Selection Commission (SSC) has just conducted today Combined Graduate Level 2014 Tier-II exam. The exam was held on 11th & 12th April as per pre-schedule. 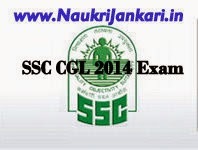 Now it is the high time to write a complete review and analysis on SSC CGL 2014 Tier-II exam. Read out! This year, SSC has made a minor change in CGL Tier-II OMR sheet. The portion of writing and darkening of Roll Number, Test Form Number, Ticket Number etc. is on the backside of the OMR Sheet. Others are same as previous year. Now come to question paper. Quantitative Ability (Paper-I): This paper was moderate and level is same as compared to previous year (CGL 2013 Tier-II re-exam!). As usual, questions are mixed of easy, moderate and tough. Some questions are very lengthy and time consuming to solve. Even some of them take lot of time to read! Overall the Paper-I was moderate. It is good to attempts 75-80 questions in stipulated time. English Language & Comprehension (Paper-II): The English paper was easier than that of previous year's question paper. After seeing the question paper, it looks same as CGL 2013 Tier-II exam's paper (not re-exam). The level of questions is quite easy and you need not spend too much time on a question to give the answer. One change in questions of Paper-II has been noticed. In re-arrangement of sentences section, the pattern of questions has been totally changed which leads you to solve them quickly. In average, candidates have attempted around 160-165 questions. Statistics (Paper-III): The statistics paper for Statistical Investigator post was held on 11th April. The question paper was as usual. Nothing new. That's All! If you like our review and analysis, don't forget to mention here in the comment box. Also share your attempts and expected marks in SSC CGL 2014 Tier-II exam. 0 comments for " Review on SSC CGL 2014 Tier-II exam held on 12.04.2015 "